Are you finally ready to dip your toe in and test the songwriting waters? Or are you an experienced songwriter who feels like the well is drying up? Or do you just want some alternatives to using water metaphors? All levels of experience are welcome to join Heather on this exploration into the inspiration and techniques of songwriting. We’ll share and critique songs in a safe and welcoming environment, explore sources of inspiration, tackle the difficult work of editing for maximum impact, and stretch ourselves to experiment with new methods or directions. Bring unfinished songs or ideas for songs, or plan to start fresh when you arrive. Bring a pen and paper and accompanying instrument if you play one. Leave with a fresh sense of purpose and a couple new songs! Heather Blush has been writing and performing songs for 20 years, releasing 5 albums and touring across Canada. When not performing with her band Heather Blush and The Uppercuts, she may be found entertaining the younger crowd with children's duo Rattle and Strum or belting out vocal jazz standards with Lemondrop. She also delivers music classes to some 1500 young children in daycares through her company Together with Heather Music, and leads songwriting workshops for schools, teachers, and young songwriters. 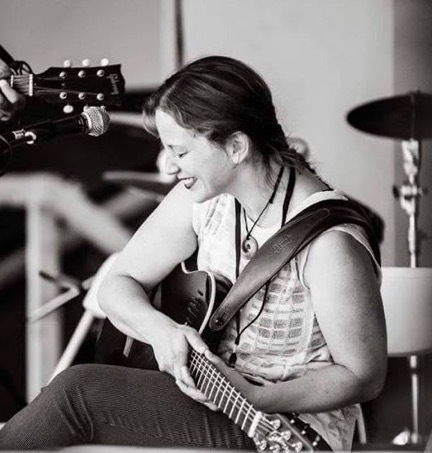 Her music has received nominations for a Canadian Folk Music Award, a Western Canadian Music Award, and she has been a finalist in the John Lennon Songwriting Contest. She truly believes that anyone can write a song, and that you can write a song about anything.